King Felipe met late last week with French President Emmanual Macron at the Royal Palace in Madrid. The French leader was in the Spanish capital to also meet with new Prime Minister Pedro Sánchez to discuss, among other things, EU immigration policy. His Majesty this month also met with Ecuadorian President Lenin Moreno, whose trip to Europe has sparked debate about the fate of Wikileaks leader Julian Assange, who has been holed up at Ecuador’s British embassy for years. The King had an audience with the new head of Spain’s conservative Popular Party, Pablo Casado, also in recent days. The full agenda preceded vacation season in Spain. Members of the Royal Family will spent at least some time at Marivent Palace in Mallorca. However, scandal surrounding King Juan Carlos and a former friend, has upended plans for a unified getaway. The Royal Household is blaming a minor health problem for King Felipe’s father staying away from Mallorca and planned sailing. King Felipe won praise but also skepticism earlier this month when he attended a charity bullfight in Madrid. Aside from people who oppose the activity, aficionados wondered whether the King — who got a standing ovation — really stands with them. Don Felipe has not been as keen on attending bullfights compared to his father, King Juan Carlos, and his sister, Infanta Elena. Both of them were helping open a new winery in the Basque Country during the Madrid bullfight. Conventional wisdom says Queen Letizia is not partial to bullfighting. Neither is Queen Sofia, an animal rights advocate. The late Duchess of Alba was also an animal rights advocate, but an ardent supporter of bullfighting as a Spanish tradition. Prince Felipe expressed disappointment this weekend over Madrid’s loss to Tokyo for the 2020 Olympics. Don Felipe, and his wife, Princess Letizia, were in Buenos Aires lobbying for the city’s bid, along with other officials, including Government President Mariano Rajoy. The Prince is said to have impressed delegates with his use of French, English and Spanish to answer questions about Madrid’s preparedness. Members of the Royal Family stunned crowds today by deploying at different locations around Madrid. 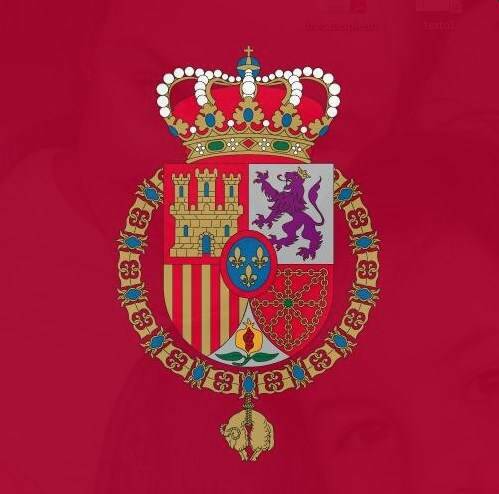 Queen Sofia, Princess Letizia and Infanta Elena helped take donations for the Spanish Red Cross at various points in the city. Prince Felipe, in a move that wowed many observers, walked around Madrid visiting his relatives and making a contribution. The so-called Day of Flags is a top fundraiser for the Spanish Red Cross. 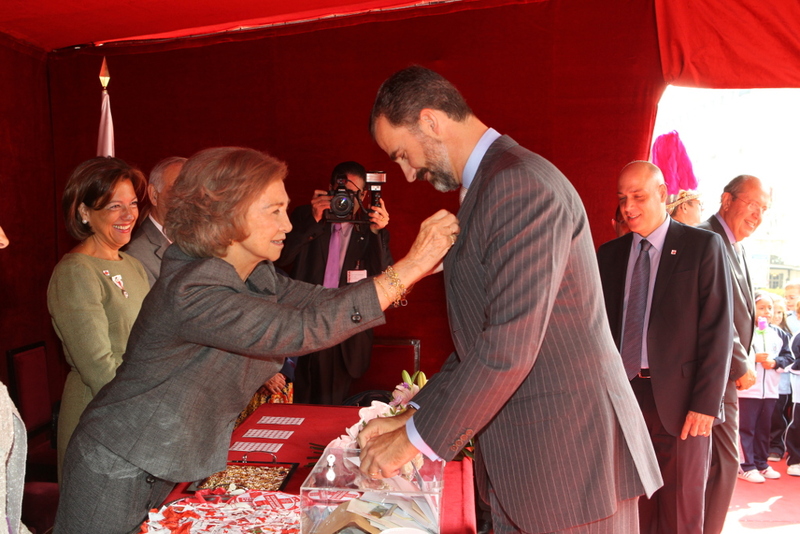 Queen Sofia and her son Prince Felipe at the head table.